The Trump administration on Monday targeted Iran’s energy sector by announcing the U.S. would no longer exempt any countries from sanctions for importing Iranian oil. “This decision is intended to bring Iran’s oil exports to zero, denying the regime its principal source of revenue,” the White House said in a statement. The decision means sanctions waivers for five nations, including China and India and U.S. treaty allies Japan, South Korea and Turkey, won’t be renewed when they expire on May 2. According to a State Department official, the decision to end waivers for countries importing Iranian oil was made by Trump and Pompeo. The crackdown on Tehran’s oil revenue comes as the administration toughens its already strict penalties on Iran. The administration earlier this month labeled Iran’s Revolutionary Guard a “foreign terrorist organization,” in Washington’s first such designation for an entire foreign government entity. The oil-sanction waivers had been in place since November, when the administration re-imposed sanctions on Iran after Trump withdrew the U.S. from the landmark 2015 nuclear deal with Iran. They were granted in part to give those countries time to eliminate their purchases of Iranian oil but also to ease any impact on global energy markets with the abrupt removal of Iran’s production. Fox News’ Rich Edson and The Associated Press contributed to this report. The Massachusetts senator says the proposal unveiled Monday would eliminate almost all student loan debt for 42 million Americans, canceling $50,000 in debt for each person with household income under $100,000. According to Warren’s description of the plan in a piece to be posted on Medium, the debt cancellation proposal would create a one-time cost to the federal government of $640 billion. Many in the growing field of Democratic candidates have proposed reforming the nation’s student loan programs, including dramatic restructuring of existing refinancing structures, but Warren appears to be the first to propose flat-out debt cancellation. Warren and others in the field, including Sens. Cory Booker, Kirsten Gillibrand and Kamala Harris, are backing the Debt-Free College Act , a bill that would cover all costs for students attending a public college without necessitating loans. Among Warren’s other proposals is elimination of tuition and fees for two- and four-year public college degree programs, as well as a $100 billion investment in Pell Grants, a federal aid program that requires no payback. Tuition-free higher education was a mainstay of Vermont Sen. Bernie Sanders’s 2016 presidential run. Warren, Harris and Sen. Kirsten Gillibrand, another presidential contender, all signed on as co-sponsors of Sanders’ 2017 College for All Act , which would have allocated $47 billion annually to states to cover two-thirds of the tuition obligation, leaving states responsible for the rest. Warren announced the policy ahead of a CNN town hall in New Hampshire focusing on issues important to young voters. Her slot in the five-hour broadcast Monday comes along with other appearances by Harris, Sanders and Sen. Amy Klobuchar as well as Pete Buttigieg, mayor of South Bend, Indiana. Following New Hampshire, Warren this week is making stops in South Carolina, Texas, Iowa and Nevada. #Left divided on #impeachTrump & New details in #SriLanka #EasterSunday bombings as death toll rises via #MagaFirstNews with @PeterBoykin NEW DETAILS IN SRI LANKA BOMBINGS EMERGE AS DEATH TOLL RISES: The series of bombings that ripped through churches and hotels in Sri Lanka on Easter Sunday and left at least 290 people dead and more than 500 people wounded were carried out by seven suicide bombers and investigators are examining reports that intelligence agencies had warnings of possible … See More attacks, according to the Associated Press … No one has taken responsibility for the bombings. Defense Minister Ruwan Wijewardena described the blasts as a terrorist attack by religious extremists, and police said 13 suspects had been arrested. 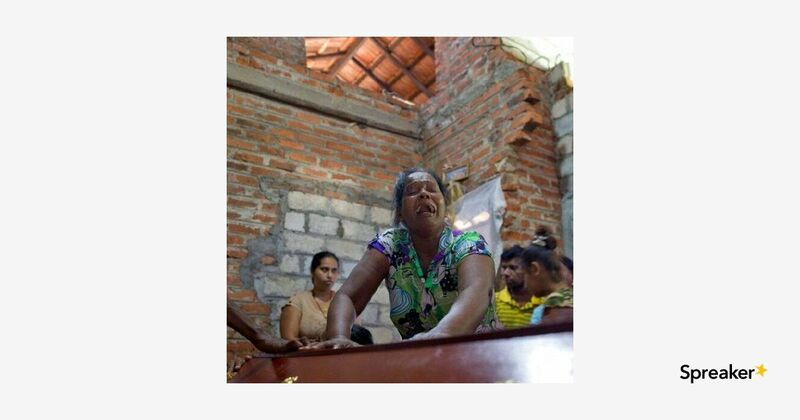 The identities of some victims of the Easter massacres in Sri Lanka emerged Sunday evening — including a British mother and her 11-year-old son, along with a TV chef, Shantha Mayadunne, and her daughter, Nisanga. Most of those killed were Sri Lankans. However, the U.S. said “several” Americans were among the dead, while Britain and China said they, too, lost citizens. U.S. State Department warns of possibility of more attacks in Sri Lanka BUZZFEED EDITOR TAKES SRI LANKA SHOT AT TRUMP: A BuzzFeed News world editor faced backlash Sunday for taking a swipe at President Trump while tweeting an article about the attacks in Sri Lanka on Easter …”Suspect we’d be hearing a lot more outrage from Trump and co. if the Christians killed in Sri Lanka were white,” Miriam Elder tweeted with a link to BuzzFeed News. Elder’s tweet had received more 6,000 replies, 179 retweets and 423 likes as of early Monday morning. Many of the commenters asked why the BuzzFeed News world editor would politicize the terrorist attacks. When contacted by Fox News, BuzzFeed News responded: “No comment from us.” Trump on Easter morning offered condolences to the people of Sri Lanka, tweeting, “We stand ready to help!” DEMS DIVIDED ON COLLUSION, SEEKING TRUMP IMPEACHMENT: Leading Democrats appeared divided whether to pursue impeachment against President Trump after last week’s release of Special Counsel Robert Mueller’s redacted report, which found no evidence of collusion and did not draw a conclusion on whether Trump obstructed justice … Rep. Elijah Cummings, D-Md., chair of the House Oversight Committee, signaled that Democrats are not yet concerned about the possibility of “Russia fatigue” and warned ominously on Sunday that “the Russians aren’t getting tired” and are “attacking our electoral system every single day.” Cummings previewed new lines of investigation against Trump and said it might be necessary to hear testimony from former White House Counsel Don McGahn and Mueller himself. In addition, Cummings neither fully endorsed, not rejected the idea of pursuing impeachment against Trump. 2020 presidential candidate Sen. Elizabeth Warren and freshman Democratic Reps. Rashida Tlaib, D-Mich., Ilhan Omar, D-Minn., and Alexandria Ocasio-Cortez, D-N.Y. have all called for impeachment. But other Democrats, including Maryland House Majority Leader Steny Hoyer, and House Speaker Nancy Pelosi, and 2020 presidential candidates Reps. Tim Ryan and Tulsi Gabbard have also said impeachment proceedings would be premature or misguided. (Rep. Adam Schiff, D-Calif. chairman of the House Intelligence Committee, weighed in on the prospects of impeaching Trump and more on “Fox News Sunday.” Click on the video above to watch the full interview.) Meanwhile, House Judiciary Committee Chairman Jerry Nadler, D-NY, argued on Sunday that, despite Mueller deciding not to charge President Trump with obstruction of justice, he believes there is still plenty of evidence of obstruction and wondered why Donald Trump Jr. isn’t facing charges for the infamous Trump Tower meeting with Russian operatives in June 2016. REPORT: U.S TO SANCTION FIVE NATIONS OVER IRANIAN OIL – The Trump administration is set to inform five nations that they will no longer be exempt from U.S. sanctions if they continue to import oil from Iran, reports said Sunday … Secretary of State Mike Pompeo plans to announce the policy move on Monday, which would no longer renew sanctions waivers for allies Japan, South Korea, and Turkey. The other countries no longer exempt are China and India. The waivers for sanctions will expire on May 2. The Washington Post first reported on the move, and three sources confirmed the report to the Associated Press. AOC FACING EARLY RE-ELECTION CHALLENGE: Alexandria Ocasio-Cortez’ssurging national profile has inspired a trio of Republican opponents from her home district— along with a multimillionaire mystery donor who could help close the gap in her foes’ long-shot race against her … Just three months after taking office, the Democratic socialist congresswoman’s challengers include an Egyptian American journalist, who has already tossed her hat in the ring, and an NYPD cop-turned-high-school-civics teacher and conservative talk-radio producer, both of whom are seriously exploring a run against her. And the fledgling challengers could get help from a wealthy New Yorker committed to backing an Ocasio-Cortez opponent, the New York Post reports. Add Rep. Seth Moulton to the large list of Democrats running for the White House. The congressman from Massachusetts and Marine veteran who served four tours of duty in Iraq announced his candidacy for president on Monday morning. “I’m running because we have to beat Donald Trump, and I want us to beat Donald Trump because I love this country. We’ve never been a country that gets everything right. But we’re a country that, at our best, thinks that we might,” the three-term congressman said in a video as he launched his campaign for the Democratic presidential nomination. Moulton, 40, was one of the ringleaders of last year’s failed push by some House Democrats to prevent Nancy Pelosi from regaining the speaker’s gavel. Another one of those leaders – Rep. Tim Ryan of Ohio – announced his candidacy for president earlier this month. Moulton’s scheduled to visit all four early voting primary and caucus states this week. He heads to New Hampshire on Tuesday and Wednesday morning, when he’ll headline ‘Politics and Eggs,’ a must stop in the first-in-the-nation primary state for White House hopefuls. Later Wednesday, Moulton campaigns in South Carolina, which holds the first southern primary. That will be followed Thursday by stops in Iowa – which kicks off the caucus and primary calendar – as well as Nevada – which holds the first western contest. In an interview Monday morning on ABC’s “Good Morning America,” Moulton seemed to take a shot at one of the front runners in the Democratic race, Sen. Bernie Sanders of Vermont. Sanders is a self-described democratic socialist. Moulton was first elected to Congress in 2014, after upsetting former Rep. John Tierney in a Democratic primary fight. The Salem lawmaker represents the state’s sixth congressional district, which covers the northeast corner of Massachusetts. Meanwhile, Joe Biden is expected to declare his candidacy for president next week, two sources with knowledge of the former vice president’s plans confirmed to Fox News. As President Trump and the first lady prepare to welcome thousands of children and their families to annual Easter Egg Roll at the White House, Melania Trump’s spokesperson opened up about some of what people can expect this year. Stephanie Grisham told “Fox & Friends” on Monday morning the first lady planned every detail of Monday’s spring event – from the color of the eggs to the activities offered. Grisham said the president and first lady will be part of the traditional egg roll as well as be part of an activity coloring cards with children that will be sent to troops overseas. “There’s a ton of stuff to do. It’s going to be a great day,” she said. When asked how the end of the Russia investigation felt as they were planning the final details of Monday’s Easter Egg Roll, Grisham said a weight was lifted off the administration. The White House will host the 141st annual Easter Egg Roll on the South Lawn on Monday – a tradition that dates back to 1878 under the administration of President Rutherford B. Hayes. The Massachusetts lawmaker and Iraq War veteran made the announcement on his website Monday. Moulton first came to prominence in 2014 when he unseated long-term incumbent Rep. John Tierney in a Democrat primary and went on to represent the state’s 6th Congressional District, a swath of communities north of Boston including Salem, home of the infamous colonial-era witch trials. Speculation about a possible Moulton run has been simmering as far back as 2017 when he spoke at a Democrat political rally in Iowa, home of the first-the-the-nation presidential caucuses. At the time he brushed aside talk of a presidential run. Talk of possible run ramped up during last year’s election when the former U.S. Marine helped lead an effort to get other Democrat military veterans to run for Congress — a cause he continues to push. The 40-year-old Moulton also gained national attention for helping lead an effort within the party to reject Nancy Pelosi as House speaker after Democrats regained control of the chamber. Moulton said it was time for new leadership. Moulton has also been a frequent critic of President Donald Trump — from foreign policy, including Trump’s recent veto of a resolution to end U.S. military assistance in Saudi Arabia’s war in Yemen, to his push for a wall at the southern border. Despite occasionally differing with some on the most liberal wing of the party, Moulton has staked out familiar policy positions for those seeking the Democrat presidential nomination. He’s called health care “a right every American must be guaranteed,” pushed to toughen gun laws, was a co-sponsor of the Green New Deal, has championed a federal “Green Corps” modeled after the Civilian Conservation Corps of the 1930s, and has called for an end to the Electoral College. Money could prove a challenge to Moulton, who has raised $255,000 so far this year and had about $723,000 in his campaign account as of the end of March. Moulton is now the third political figure from Massachusetts to take a stab at a White House run. U.S. Sen. Elizabeth Warren — a Democrat — and former Massachusetts Gov. William Weld — a Republican — are also running. Democratic presidential candidate Pete Buttigieg on Friday said that President Trump’s supporters were similar to Bernie Sanders’ supporters because they both feel marginalized and want to tear down the system. The comments came during a campaign stop in downtown Nashua, N.H. before a crowd of mostly high school students, according to The Washington Examiner. The 37-year-old mayor of South Bend, Ind. said that a sense of “anger and disaffection” grows from neighborhoods and families who are struggling to get by despite reports of a healthy economy. “It just kind of turns you against the system in general and then you’re more likely to want to vote to blow up the system, which could lead you to somebody like Bernie and it could lead you to somebody like Trump. That’s how we got where we are,” Buttigieg said. The Trump administration is set to inform five nations that they will no longer be exempt from U.S. sanctions if they continue to import oil from Iran, reports said Sunday. Secretary of State Mike Pompeo plans to announce the policy move on Monday, which would no longer renew sanctions waivers for allies Japan, South Korea, and Turkey. The other countries no longer exempt are China and India. The waivers for sanctions will expire on May 2. The Washington Post first reported on the move, and three sources confirmed the report to the Associated Press. President Trump finalized the measure on Friday, according to the Post, in an effort to apply “maximum economic pressure” by cutting off its oil exports and reducing its main revenue source to zero. In reaction to the administration’s move and expectations of tightening supply, early trading on Monday indicated Benchmark Brent crude oil futures rose by as much as 3.2 percent to $74.31 a barrel, the highest since Nov. 1, Reuters reports. The U.S. State Department on Sunday issued a revised warning on travel to Sri Lanka and said terror groups are continuing to plot and possibly carry out new attacks in hotels and churches. On Easter Sunday, a series of bombs exploded at churches and luxury hotels in the country, killing nearly 300. It was the deadliest series of attacks the South Asian island country had seen since a bloody civil war there ended a decade ago. Most of the attacks occurred in or around Colombo, the capital. The U.S. said “several” Americans were among the dead. The Special Counsel Robert Mueller’s nearly two-year investigation into Russian meddling in the 2016 presidential election found “no collusion” between President Trump and Russia. The Department of Justice released a redacted version of the report in two volumes on Thursday. “There’s no collusion, says the Special Counsel. That takes one sentence. It doesn’t take 200 damn pages. It doesn’t take $35 million dollars,” Levin said, referring to Vol. 2 of the report. Despite the Democrats warning of a “Saturday Night Massacre” like President Nixon during Watergate, President Trump never asserted executive privilege to prevent documents or people around him from talking to Mueller. He was an open book,” Levin argued. But after the report found no evidence of collusion, the Democrats, who had been discussing impeachment since the day after Trump was elected, pivoted to pinning obstruction of justice charges on the president, Levin said. “This is an abuse of power by a prosecutor. This is the only prosecutor in the entire country who writes a report under justice department regulations, a report that is only supposed to go to the Attorney General, who then makes decisions about whether to release any of it. Or all of it, because there’s no requirement for this to be released at all,” Levin said. “They wrote it for CNN, they wrote it for MSNBC. They wrote it for Nadler and Schiff and all the other reprobates. They wrote the report for them,” Levin said. Levin said the investigation “runs completely contrary to a civilized society” and a “constitutional system,” yet there is not a single Democrat member of the House of Representatives or “so-called news person” at any major outlet that appears to be concerned.